Losing Sleep by Danny Hauger feat. David Bingley by Danny HaugerMusic Enjoy The Thanksgiver animatic by Jessica Avila, written by Danny Hauger and Grant Mueller. Happy Thanksgiving! Performed on Cozy Corner, from Titan Radio, on the campus of Cal State Fullerton in 2008. After that, time to check out the brand new album, "Chasing the Golden Age"! Its here! The newest album from Danny Hauger Music comes to you! Special offer: make any donation to my here and get the album free! I'll send a zip file with all the tracks for any donation! Enjoy The Thanksgiver animatic by Jessica Avila, written by Danny Hauger and Grant Mueller. Happy Thanksgiving! 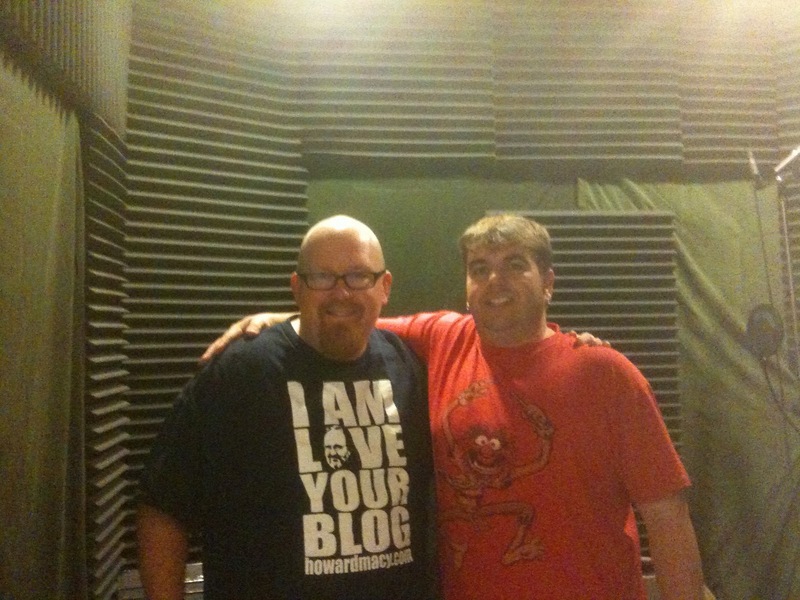 Performed on Cozy Corner, from Titan Radio, on the campus of Cal State Fullerton in 2008. Best of Danny on the Sports Lodge 11 22 11 Are you there? Thanks Roger for the airtime and help promoting my new album on The Sports Lodge, on AM 830, weekdays 7 to 10 am. Actually got to bump, "Again", the first track from the album to end the show! Good times! Enjoy this promo read by Danny Hauger for the upcoming UFC 139 special Pay per View. Proud to announce that in ONE DAY, Danny Hauger music will drop my second album, "Chasing the Golden Age" on iTunes, Amazon, Spotify, Napster, and wherever digital music is sold! Be sure to check it out and thanks for supporting my music. Very excited about the album, more details to come as the album drops into stores worldwide--- RIGHT NOW! check out the brand new album, "Chasing the Golden Age"! Its here! The newest album from Danny Hauger Music comes to you! Special offer: make any donation to my here and get the album free! I'll send a zip file with all the tracks for any donation! Link up, send messages, collaborate remotely, book me, or enjoy a free MP3. Thanks for visiting! Enjoy this free download of "Nostalgia" from Danny Hauger, and Tae Kim, on the upcoming album! Good Monday to you all of you from AM 830 on another big week for sports. UCLA failed over the weekend, while USC was able to pick up the win. SC won the game against a struggling Washington team, and are now 5-2 in the PAC 12. They prepare for a big match-up with Oregon this weekend. A special treat for Angels fans on monday night at 7:00 PM when we take a trip down memory lane and open up the Classic Baseball vault with Mike Witt's gem against Texas from September 20th, 1984. Wednesday and Thursday Steve Carroll and Dan Wood will bring you all of the action from the ice as the Ducks are hoping to start a winning progression. Wednesday pre-game begins at 7:00 PM to prepare you for the Kings Ducks match-up when puck drops at 7:30 PM. Thursday the scene shifts back to Honda Center for an instant rematch of the two freeway teams with a pre-game at 6:30 and puck drop at 7:00 PM. Join us for the action as Bobby Ryan, Ryan Getzlaf, and Corey Perry look to take the crown off the Kings. Tune into AM 830 and bookmark www.am830.net for the latest broadcast schedule and be sure you don't miss a game on Sports Radio AM 830, KLAA. Proud to announce that in two days, Danny Hauger music will drop my second album, "Chasing the Golden Age" on iTunes, Amazon, Spotify, Napster, and wherever digital music is sold! Be sure to check it out and thanks for supporting my music. In today's best of The Sports Lodge, we preview Superfight Allen vs. Hauger, "this time its not just the sound that drops". Plus a funny reading of phone numbers and thanks for listening. Link up, send messages, collaborate remotely, book me, or enjoy a free MP3. Thanks for visiting! Enjoy this free download of "Nostalgia" from Danny Hauger, and Tae Kim, on the upcoming album! Here is the album below! check out the brand new album, "Chasing the Golden Age"! Its here! The newest album from Danny Hauger Music comes to you! Special offer: make any donation to my here and get the album free! I'll send a zip file with all the tracks for any donation! 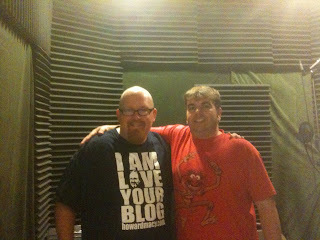 Some love for Dan Anthony of www.independantdrums.com - blogging his participation in my upcoming album, "Chasing the Golden Age". thanks Dan! 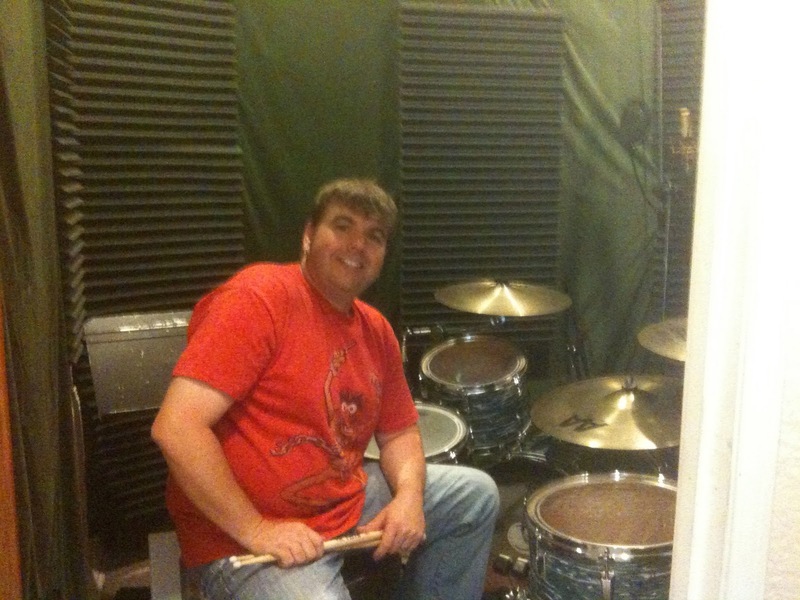 Today Dan went into the studio to lay down drum tracks for Danny Hauger. He is releasing his new cd which will be a collaborative project with several different musicians. I will update with the release of the project and everyone who was involved. Danny Hauger is a local artist in the Orange County area and his bio is in the musicians page with his link. A special thanks to Nate Macy for recording and producing the the drum sound. 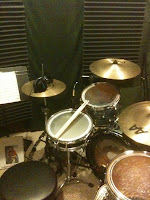 The set used is a 1972 Ludwig solid maple shells. Cymbals were Ufip customs 17" and 18" crash, Sabian AA 21" Rock Ride, Sabian 14" Rock Hats. Pedals DW 9000's. 3"x13" pearl piccalo snare. Audix drum mics, Neumann overheads. Great times are always to be had in a studio session, having fun is what makes the experience worth while. And a great finish product of making music together is what the main goal is. Stay tuned for the release date of Danny's new project. Here's to you Danny from us to you. Later on Bra! Friday marks a weekend begun by thanking the veterans of all those who have served the United States of America. Remember all those who sacrificed for all of us. Happy 11-11-11 from all of us at Sports Radio, AM 830 KLAA! Link up, send messages, collaborate remotely, book me, or enjoy a free MP3. Thanks for visiting! Friday sports involve a 7:00 pre-game getting you pumped for Ducks hockey live from Honda Center at 7:30 tonight. Should be a great match with a motivated Ducks team looking to improve their situation and put together some wins. Tune into AM 830 to hear Steve Carroll and Dan Wood bring you all the action the ice can handle. Saturday, college football excellence comes by way of the Maryland - Notre Dame Football game. Pre-game show begins at 3:30 with game time kick off at 4:30. Its one you don't want to miss, tune in and enjoy the broadcast. Sunday, the Ducks take the ice again, and we'll have all the action with a 4:30 pre-game and puck drop at 5:00 PM. On today's blog we're looking forward to another great week with Roger Lodge on the Sports Lodge from 7-10 AM and more exciting Ducks Hockey! More classic Angels games on the way! Tune in today, November 7th, at 7:00 PM for the July 11th 1967 classic game! I won't spoil it, re-live history for yourself in one of the most well-known Angels games of all time. Tuesday at 7:00 PM enjoy another classic baseball vault broadcast from July 11th, 1989. The Ducks play on Wednesday at 7:00 from the Honda Center hosting the Nashville Predators, and again Friday against Vancouver. We'll have all the action live on AM 830. Plus a special time for the Oakland Raiders on Thursday, pre-game at 4:50 from San Diego. Its all happening on Sports Radio AM 830, stay locked in for live sports and news from around the sports world. Classic broadcast today! don't miss Terry Smith bringing us back to classic moments in the Angels Baseball Vault this afternoon. Nolan Ryan on the mound! Tonight at 7:00 PM. Don't miss this weekend's exciting Ducks Hockey as they visit the Detroit Red Wings, who have lost 6 straight games, pre-game starts at 3:30 PM for a 4:00 puck drop. Who doesn't love CSU Stanislaus? Wrong question I guess, fun show today, here are some post halloween flashes of brillians from Sports Radio AM 830, 7-10 Monday through Friday.